By train: our office is 11min walk from Lee station via Burnt Ash Road or 13min walk from Blackheath Rail Station via Lee Road. The entrance to our office is located off Burnt Ash Road, adjacent to the Sainsbury’s pedestrian entrance. Use the SE12 8PZ on your sat nav to locate us. 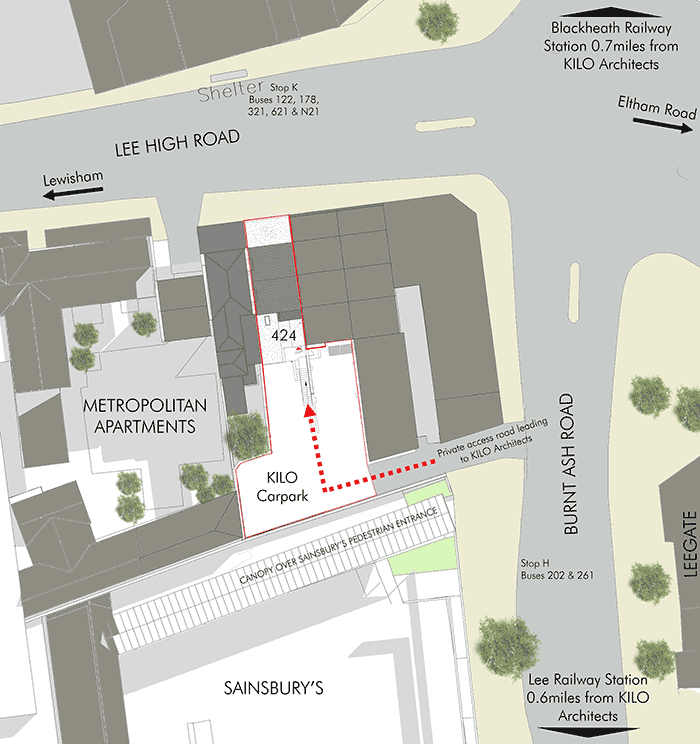 By car: our office is located at the back of 424 Lee High Road. There is a gated entrance located off Burnt Ash Road, adjacent to the Sainsbury’s pedestrian entrance. Use the SE12 8PZ on your sat nav to locate us. Our office address details will be changing soon. We will update this page in due course with our new address. Do you have any construction or development issues? Drop us a line! Submission of this form will constitute consent for our storing any information given. We will not give your details to a third party without explicit permission.